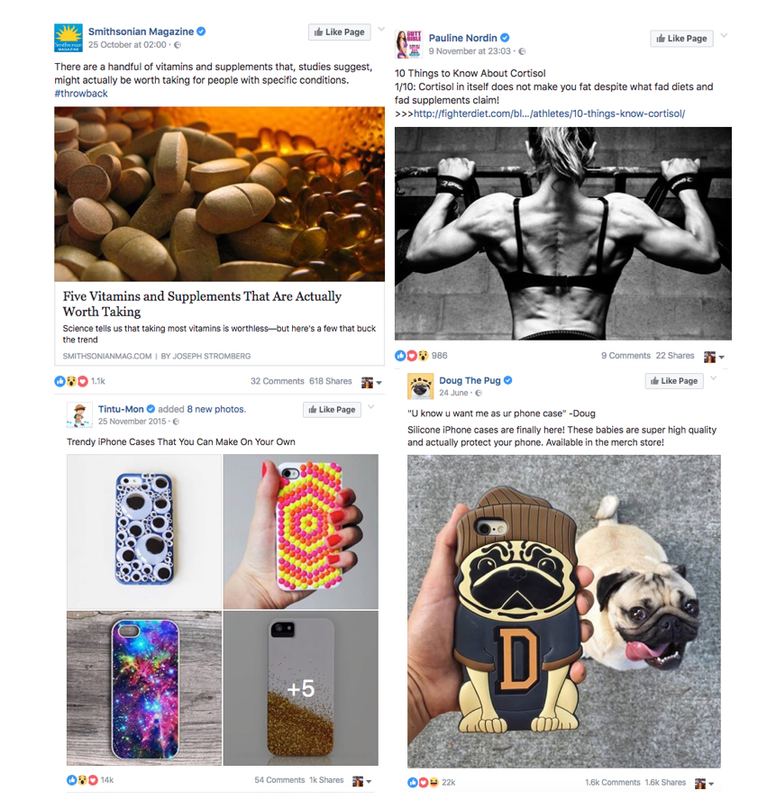 Who is the behemoth of the social media world? Of course it is Facebook. Yes, there are other social media platforms like twitter and Instagram. But no matter how many social media platforms we have, none have the amount of users that Facebook has. According to stats, 1.65 billion people use Facebook every month. That’s a huge number. This incredible number is the reason why Facebook marketing is so effective. Did you know research has proved that Facebook Ads happen to be more powerful compared to any other kind of promotion? That doesn’t come as a surprise knowing the amount of people using it. Problem arises when it comes to reaching your target audience. 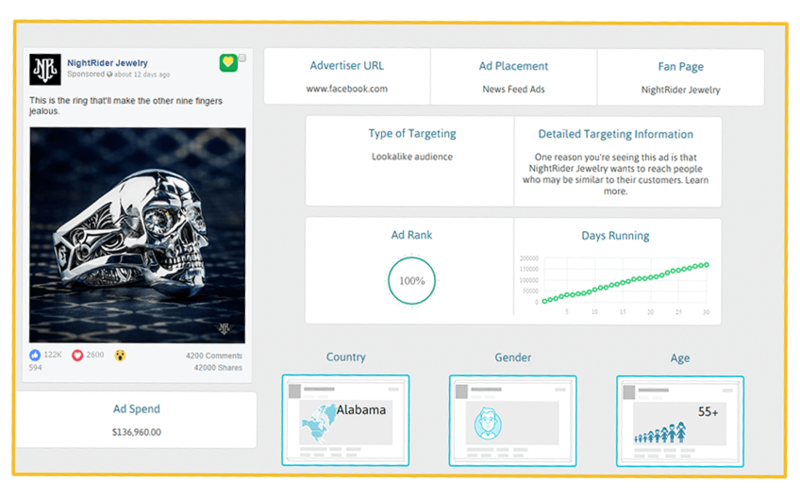 It is right here that Facebook ad spy tool Adsviser 2.0 helps you reach out to the RIGHT customers, which are your potential audience that can lead to your sales. What makes it so hot? It happens to be a very powerful Facebook Ads spy and research app. 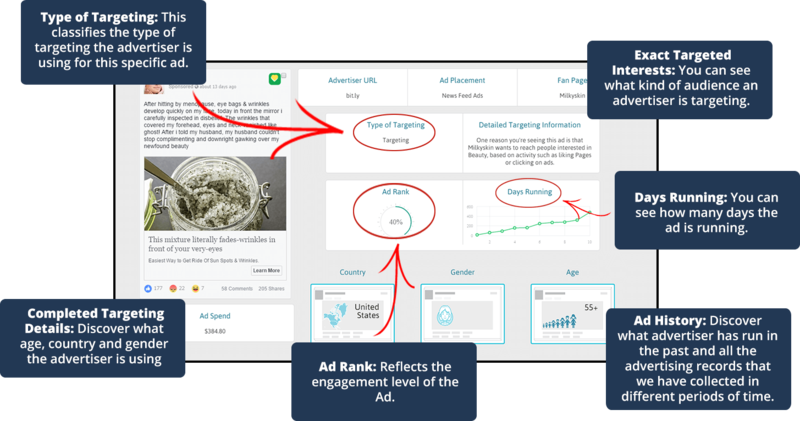 It is brimming with 600,000 profitable Facebook Ads, Instagram ads, Facebook video ads and new countries database as well. 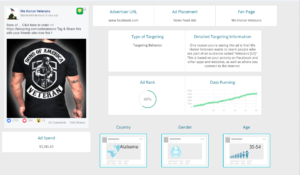 It allows you to dig and reverse engineering profitable Facebook ad campaigns and hidden Facebook niches in order to copy their take on things. 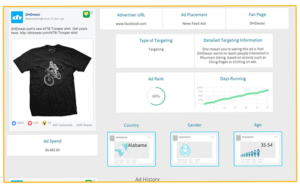 This will let you exercise your autonomy on TeeSpring, Shopify, eCommerce or any market at all. With this app, you can check out the popular niches that other marketers are using and make them your very own niche. This will save you all the time that you spend in doing your research to opt for a profitable niche for designing. 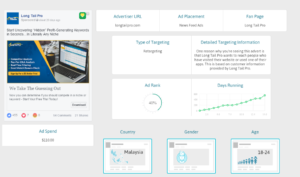 This superb feature lets you spy on Facebook ads other marketers are running. You will know everything you need to in just few minutes rather than hours of research. Similarly, it also lets you know the landing pages your competitor is directing its customers too. How much better could it get! You can get to research the niches they are building and unveil their websites. It has a large amount of countries to cater including the 39 countries just added like France, India, Thailand, Poland, Nigeria, Germany, Brazil, Algeria, Japan, Morocco and Egypt. No matter what level of user you are or whether you are a techy person or not, you can easily use it. Clicking is all you have to do make it work. For an app to be successful, being user friendly surely counts a lot. Why you should get this? The online business market is not a piece of cake. All the struggle lies in reaching your target audience so that you can keep up with your competitors. 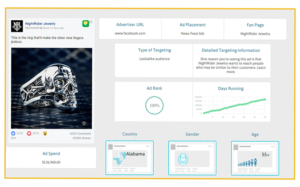 This web based app lets you get your hands on profitable Facebook Newsfeed, Instagram ads, video and mobile. When you don’t use this tool, you have to spend a lot (I mean A LOT) of your time and money to redirect your customers to your product. It is best to use Adsviser 2.0 to serve the purpose. It contains 600,000 profitable ads and many are added every single week. It gives you the freedom of spying on your competitor and checking out what they are selling at the moment. It is not just ads that you can check out, but also landing pages, ad copy and layout. That’s not it. You can unveil top profitable Facebook ads and hidden Facebook niches and use this knowledge to regenerate and own all the markets out there such as Shopify and eCommerce. It will provide you with all the data you need along with 30 plus new countries, new filters and new features adding up. 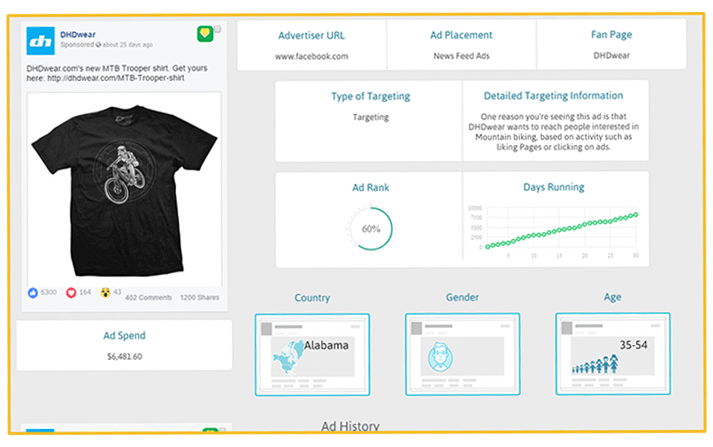 Works for most of the Facebook advertising campaigns like TeeSpring, Shopify stores, affiliate promos and others. You can easily spy on competitor’s Facebook ads to check out what will work for you. 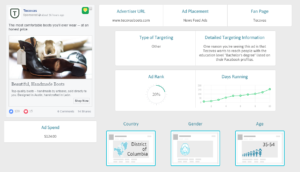 They also have a database of profitable Instagram ads and video ads. 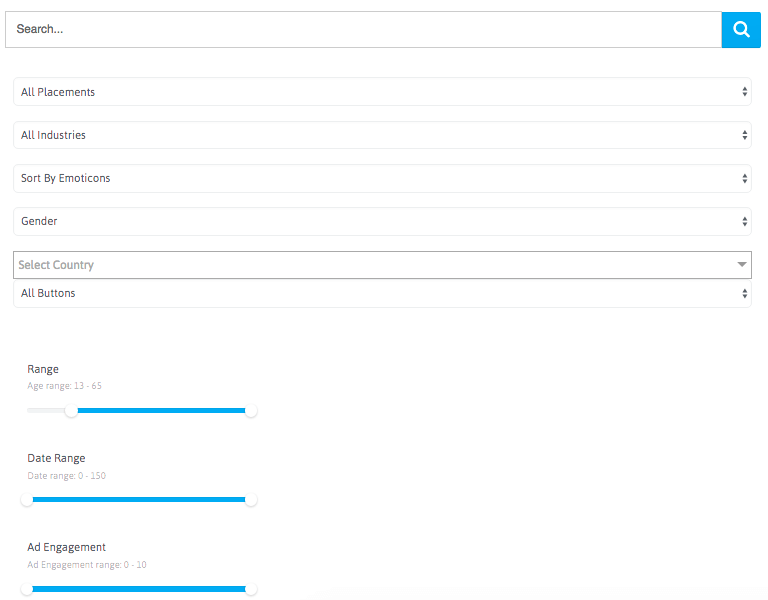 It has a variety of ads filter such as countries, gender, emotions, industries, placements and much more.